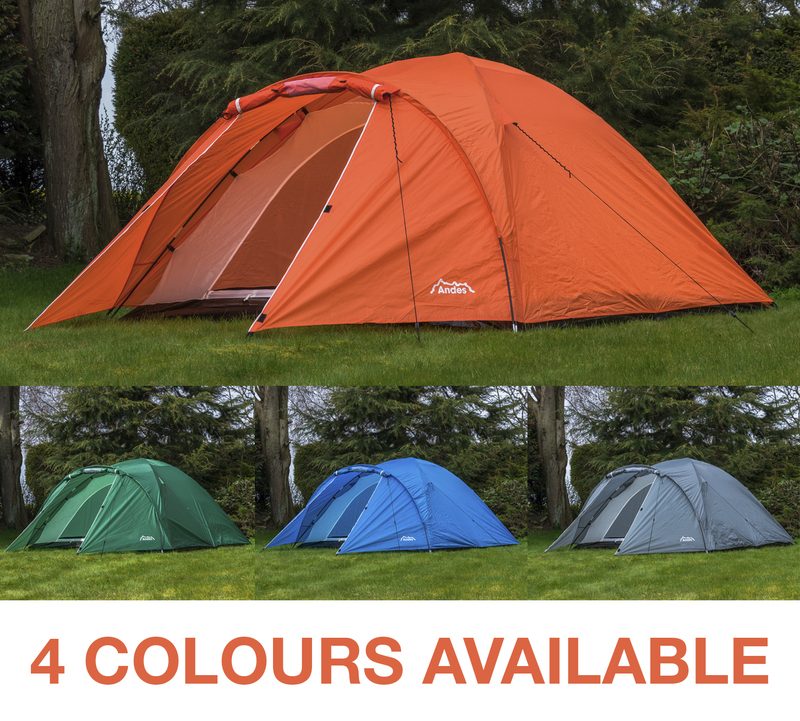 The Andes 4 person tent is a versatile tent suitable for many occasions. Sleeping up to four people it can be used as a family tent but is also perfect for a festival or a fishing trip with your friends. The easy pitch makes this tent especially good for first time campers. The inner tent uses a clip-on pole system and can be erected in seconds. The waterproof flysheet (190T polyester PU2000MM) simply goes over the top and with just one more pole and a few pegs and guy lines put in place you are ready to go. Once the flysheet has been placed over the top and has been pegged down it creates a small front porch area. This is ideal for storing items which cannot fit into the inner tent but still need waterproof protection. The front porch has its own roll up door which leads to the inner tent which has a double door. Front and back air vents will keep you cool and provide air circulation on those warm summer nights and the built in groundsheet will provide excellent insulation from the cold floor. 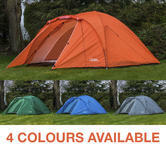 Available in four vibrant colours you will be sure to stand out from the crowd with these fantastic Andes tents.